I've always been a big believer in the idea that decorating a home was a process, and one that I wasn't willing to spend a ton of money on. I like to say that it's a lot like planning a wedding, except for there's no deadline: you can take as long as you'd like and dream about things for as long as you want. I've found this to be a pretty fun outlook on the process, and it also rings true when it comes to decorating for Christmas. Piece by piece, I dream and plan and pin, patiently hitting up the clearance racks and adding just a few simple pieces each year. Our house isn't flashy or straight out of a magazine, but it's cozy, merry, and homey, and that's what I love most. 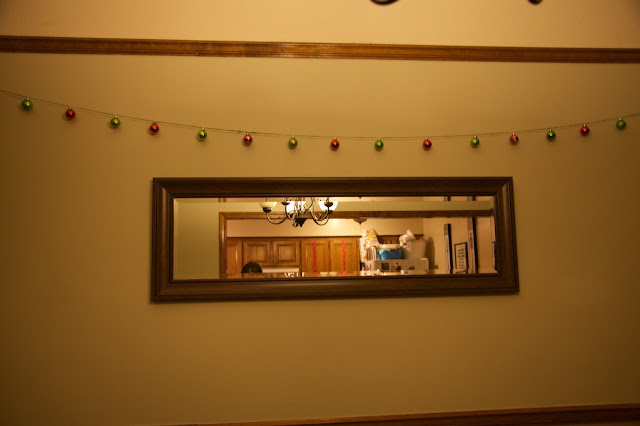 So without further ado, I bring you the Currently, Kelsie 2015 Holiday Home Tour. I've had so much fun getting in the Christmas spirit, and I even enlisted the help of Aaron's grandma this year as I decorated. Shout out to you, Grandma Alice- you rock! Welcome to our home, I hope you find it to be just as festive and cozy as we do. Just a little fun for me to look at while washing dishes. 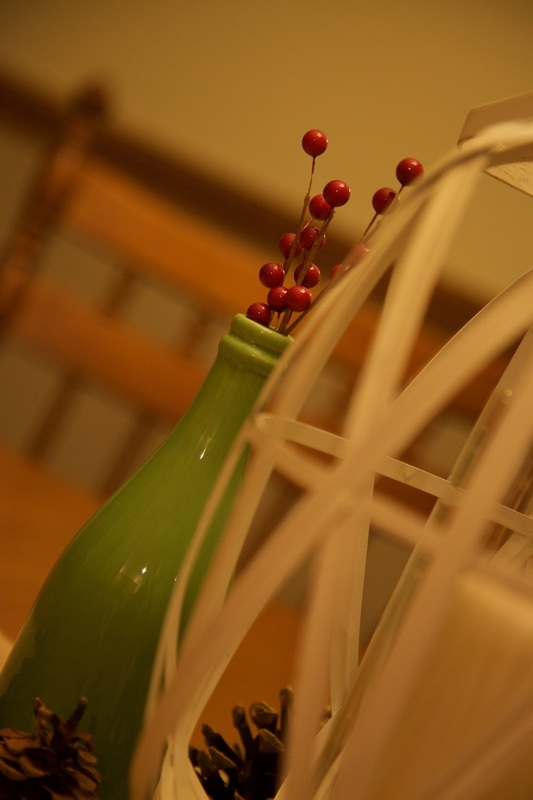 When it comes to Christmas decor, I've found that I'm a really big fan of the traditional red and green. 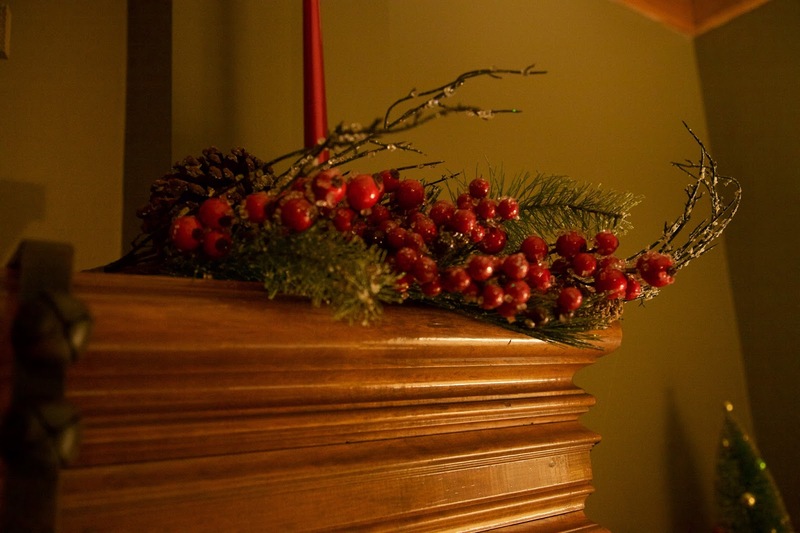 I love bringing in soft pops of red in pillows, fake berries, and holly. 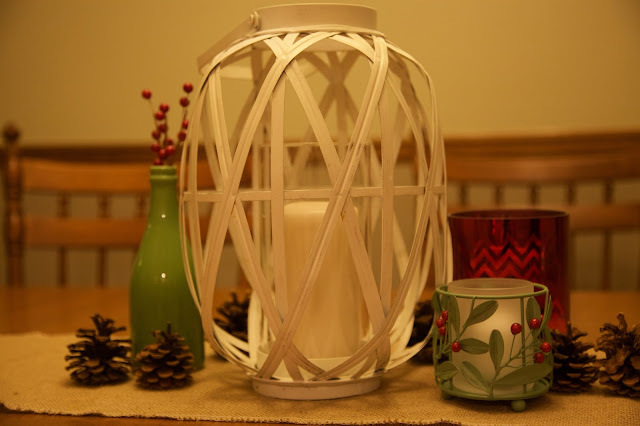 I also love finding ways to bring white and green into a room to brighten in a bit. In the past, I've gone a little overboard with all kinds of Christmas cheer that didn't really match, so this year I toned things down a bit and went for a more fluid approach, using things I mainly already had. I spent less than $20 total on all decor this year. I fell in love with this rug from Kohl's last year at Christmas, and I knew I had to have it for its $5 clearance price. 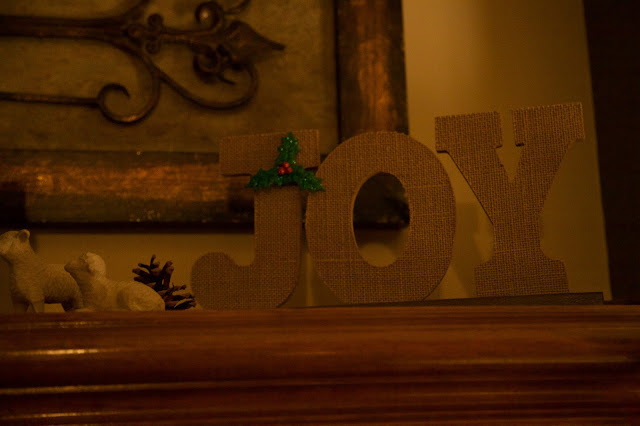 I'm a huge Christmas music lover, so it was just perfect and I love that it's the first thing that greets our guests as they enter our home and puts them into the spirit with well wishes as they leave. Lots of people head right into our house and down the stairs into our basement. We spend the vast majority of our time down here because the TV and sectional couch are both down here. 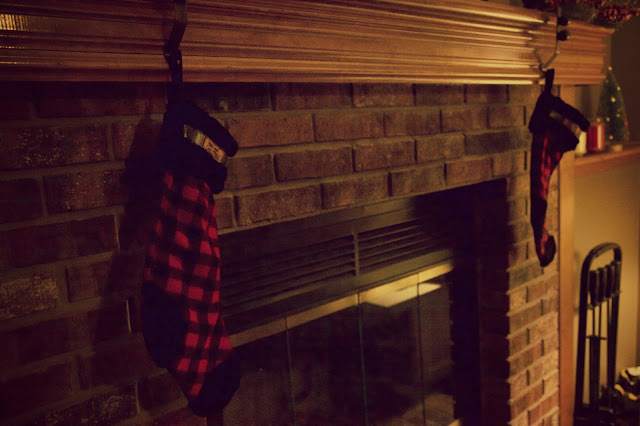 I love our fireplace mantle and flannel stockings, and we even have a little mini-tree that some friends gave us when they moved. Our Willow Tree nativity set was the most perfect June wedding gift that I would never have thought to give. 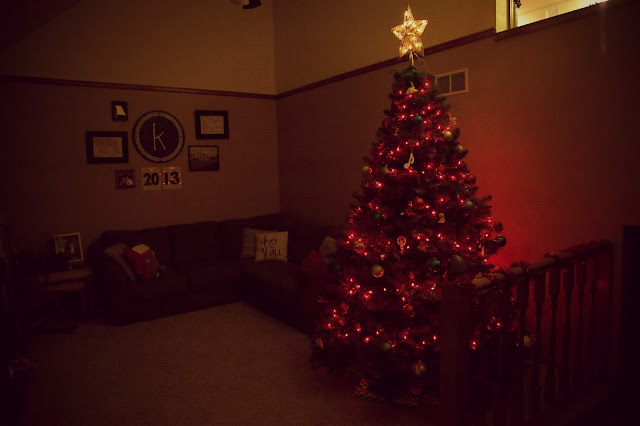 When candles are lit and Christmas music is playing, there's nowhere more comfy and merry than this basement. Hobby Lobby Garland. $6 on Clearance. Love love love. 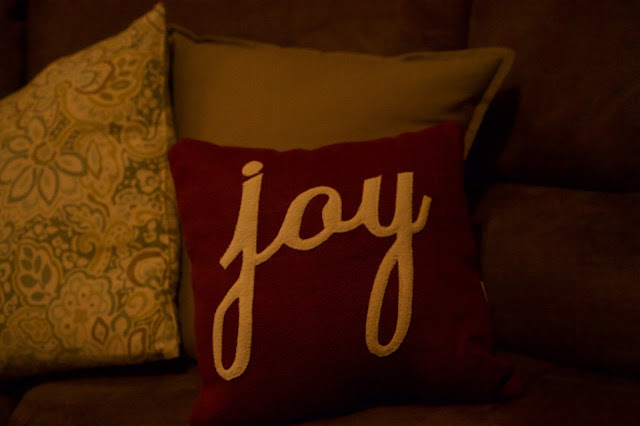 Joy Sign: Hobby Lobby Clearance. The front room already has a nice mix of black, white, and red going, so I played on that and just added little touches of green garland and pine cones around to capture the Christmas feel. We moved around our bookshelf to make room for the tree, so it's normally on the other side of the room, but I like how it turned out. An important reminder this time of the year. 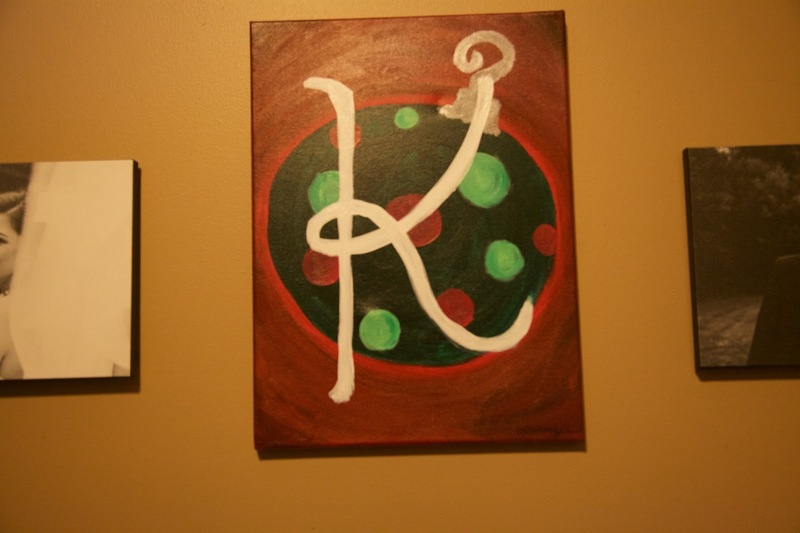 I'm not real artsy, but this is the one thing I've ever painted. I switch it out with other decor this time of the year. I love this little Hobby Lobby clearance find from last year. He's the perfect colors and really brings some fun youthfulness to the room, which is perfect since it's also the room with the tree! 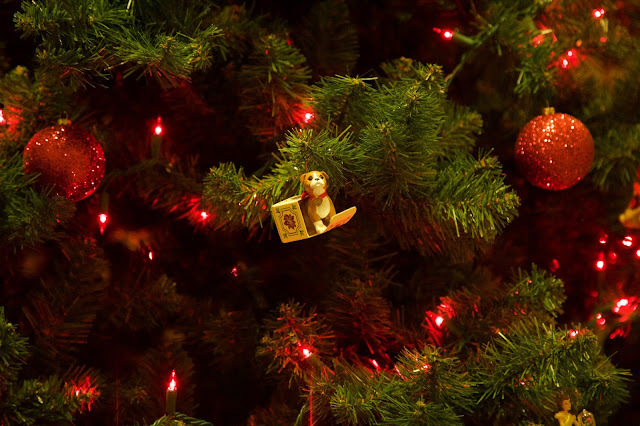 I'm a Hallmark kid, and every year my mom got me an ornament that was mine to put on the tree. Once I moved out and got married, Mom gave me all those ornaments, and boy am I thankful! All my ornaments were from the puppy collection, so now my tree is full of cute puppies and festive glittery balls from Hobby Lobby Clearance. We went with red lights on the tree this year because our multi-colored strand bit the dust. It's different from the traditional white, but it looks good with the rest of the room and I like it for this year! I love how our star peeks up and can be seen from multiple levels. The faint red glow of the tree in the evening just seems so right. 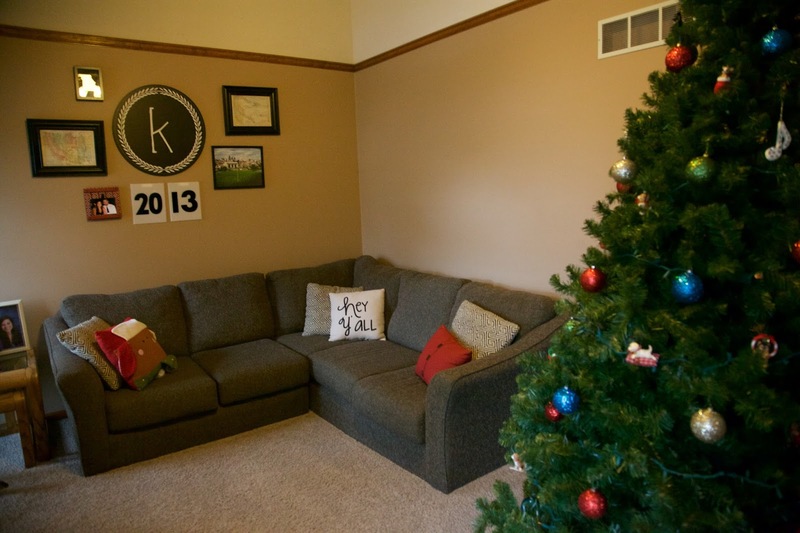 This is one room that I simplified a bit this year when it came to decorations, because I felt like I had too many things hanging in too many different places. For the centerpiece, I went back and forth, but ended up with this for now. I love the traditional red and white, plus a different shade of green that looks great in this room. I forgot I had the holly candle holder, but it went perfectly with what I was looking for. The globe light is a Kohl's clearance that was out on our front porch. 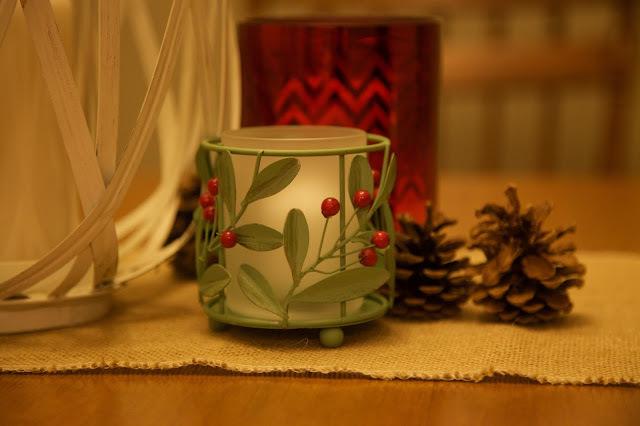 Throw a few holly stands from Hobby Lobby into a jar to finish. 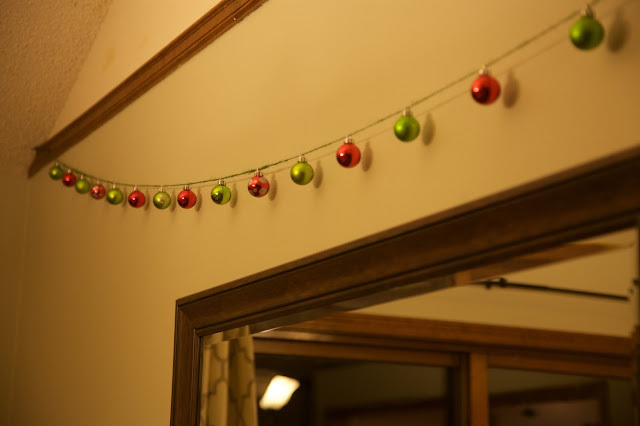 I made this little ornament garland strand a few years ago out of some Target dollar store ornaments my mother in law gave me. I found a piece of green twine, looped the ends so they could be hung, and then spaced all the ornaments out. It's one of my favorite things in the whole room. Just fancy enough to look classy but still Christmasy without being over the top. And it literally cost me like $2. I spend a lot of time in the kitchen washing dishes, setting up buffet lines for our get-togethers, and baking Christmas goodies. So why wouldn't I want a little Christmas cheer in there too? 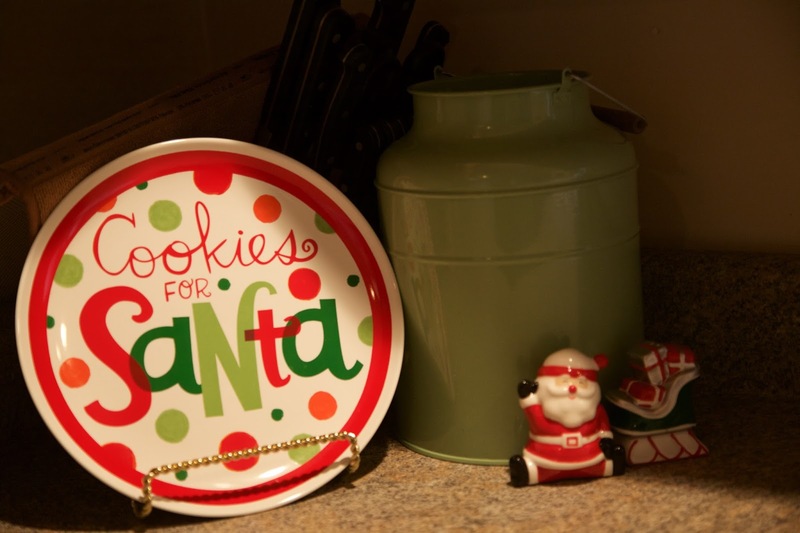 My mom always had a Santa plate for us to put Santa's cookies on for Christmas Eve. When I saw this plate, I fell in love, and the $4 purchase last year was a no-brainer. So fun to think about our future kiddos using it some day. Santa Plate: Hallmark. Santa Salt and Pepper Shakers: Target. I love Christmas countdowns and free printables. I add red sparkly ribbon, and then hang all the Christmas cards we get off of it! That's it, friends. Thanks for staying with me for the entire home tour. I hope you enjoyed getting a little peek into our home. I know I always love getting a little glimpse into the homes of others. Here's wishing you a wonderful Christmas. 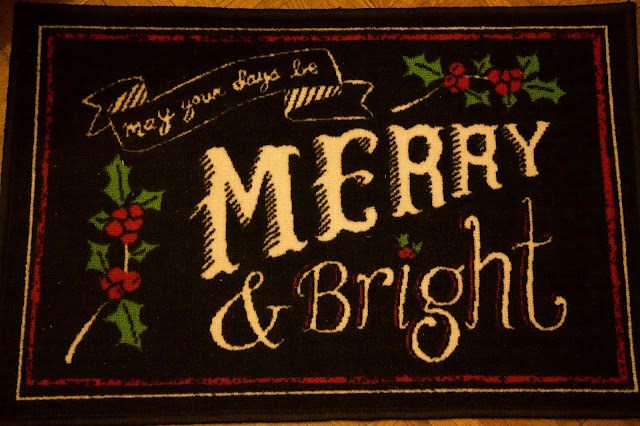 May all your days be merry and bright. Did you know you can follow along with Currently, Kelsie on Facebook? Give us a like and join the community! Wow, your house looks amazing! I love the small touches you've put everywhere, and it looks fantastic! Well thank you so much! Thanks for stopping by! I love seeing a home so cozily decorated without a lot of expensive stuff! We don't have a ton of decorations this year, but that'll change next year after I hit a few after-Christmas clearance sales! Me too, Abby! I'm all about keeping it reasonable and not spending a lot. Have fun at those sales- those are my favorite! I love seeing how everyone decorates! Your house is so cozy with how you've decorated. I love the simple, yet festive your decor is! So pretty! Christmas decorating is always the best. Thank you Jasmine, I agree! I love all of the small touches you added in to every room. So beautiful! Thank you Alex! Thanks for stopping by! love that you have done every room! I also love the star on the tree! Thanks Kelsey! Your picture is beautiful. Thanks for stopping by! 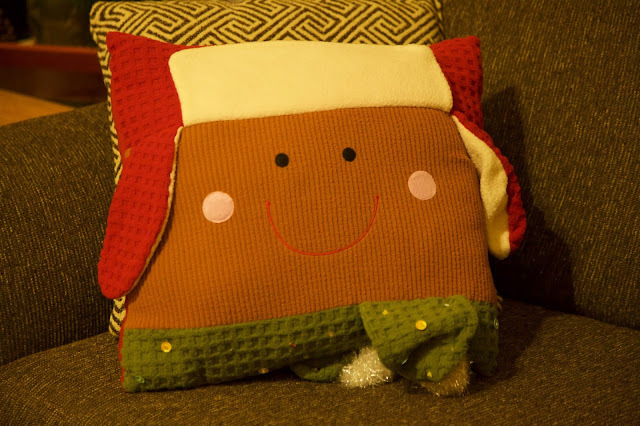 You decorated your home so beautifully and cozy! 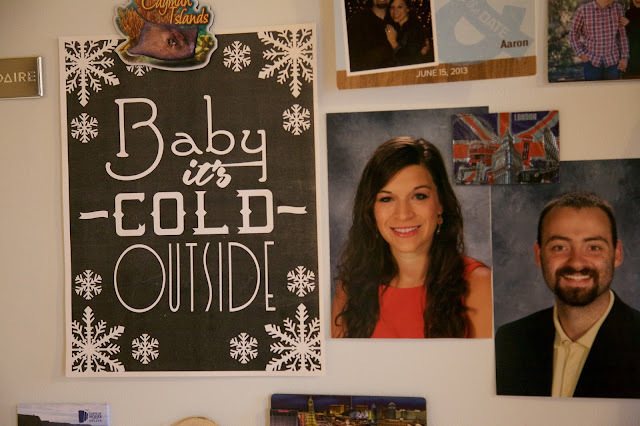 I love seeing how others' decorate, so thank you for sharing! Merry Christmas! Thanks, Ashleigh! I am the same way :) Merry Christmas! I love the red and green- it's so traditional yet gives you a ton of room to play! 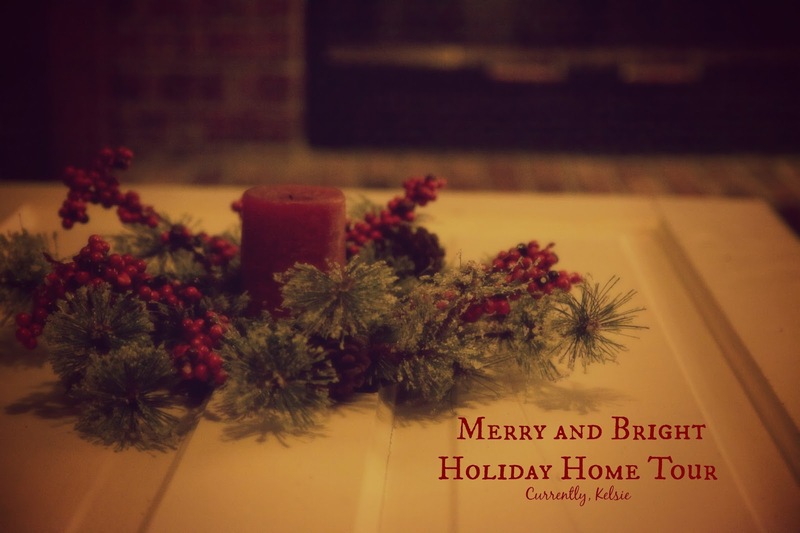 You've done a lovely job making this cozy and homey for the holidays! Thank you so much- that's what I think as well :) Thanks for stopping by! Your house is so festive and cozy. I love it! Beautiful! I love your decorations and the way you photographed them. Thanks, Theresa! I love playing with our camera! I love that you have a fireplace in your basement! How cozy! And all of your photos are beautiful! So full of Christmas cheer! I love it! Where do you store it all? lol! Thank you Marsha! We have a nice sub-basement for storage and it only takes up a few boxes plus the tree box. So cozy and fun! I think the dining room is my favorite. 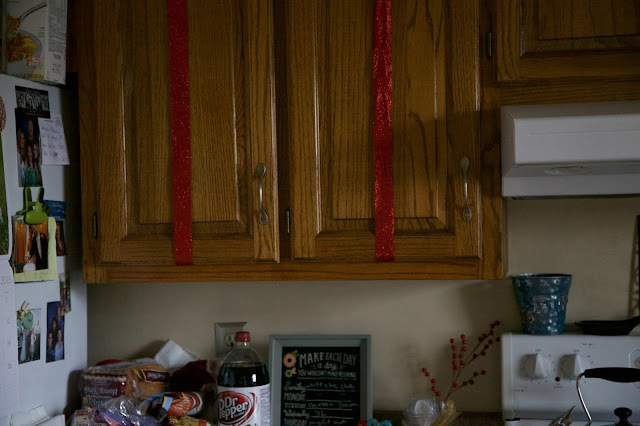 The ornaments garland is so pretty too! Good work, miss Kelsie! Excited to hang with y'all over break! Thanks, Lauren! I like that room a lot too. Been doing a lot of work in there. We are so excited to hang! Your home looks lovely and festive! I love all the special touches. Thanks for sharing! Well thanks so much, Tiffany! Thanks for checking it out! 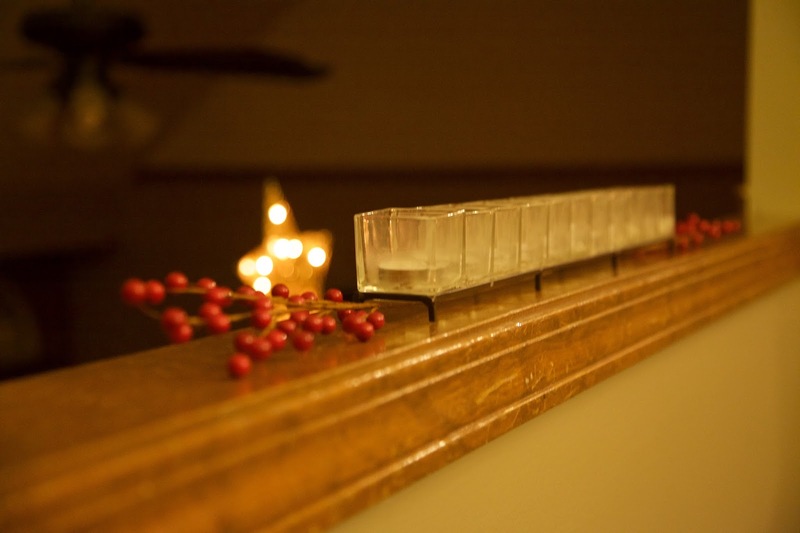 What a beautiful home thanks for sharing your holiday decor with us! Love the basement especially!!! Thanks so much, Caroline! We love our cozy basement! It's so true that it is a process. Last year we moved into our first home together just after Thanksgivng. 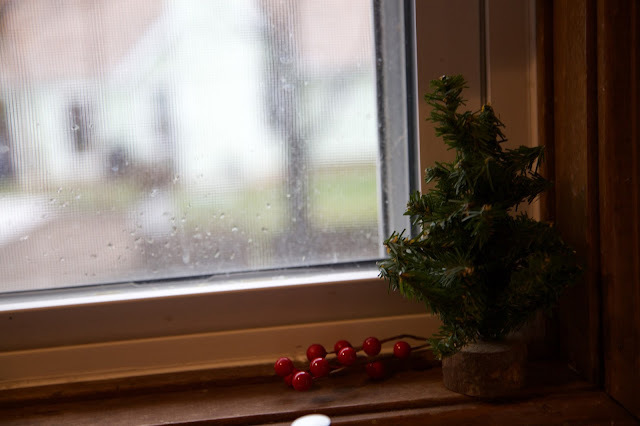 We had so many expenses that we didn't buy Christmas decorations. The day after Christmas we bought a bunch of clearance stuff. This year we've had friends ask how we afforded all the blow up decor in our front yard (We are those people! LOL!) and it's because we shopped clearance last year! Your home is beautiful. I especially love the joy pillow! Very pretty, I love it! Thanks for sharing, I love seeing how others decorate for the holidays. Thanks so much, Lisa! I love it too! 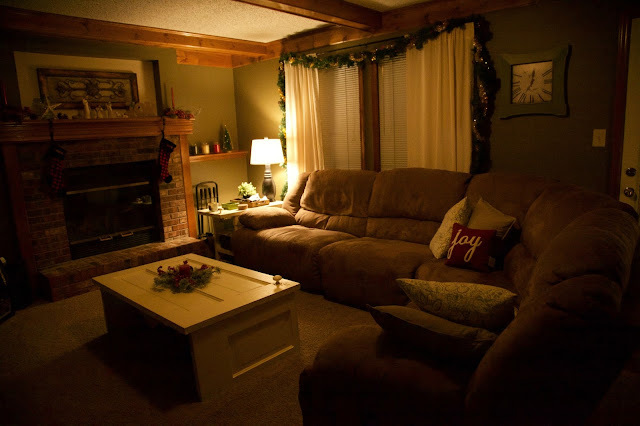 such a cute and cozy atmosphere for the holidays! I love your pillow = it's so adorable! 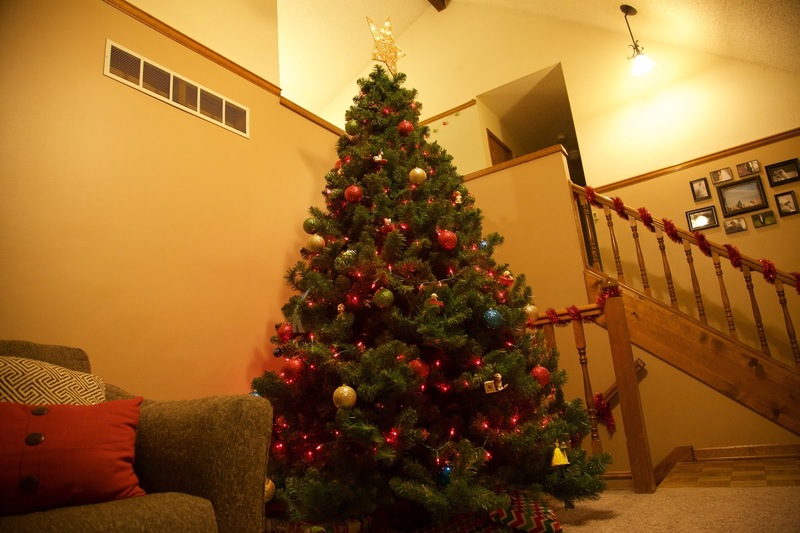 also your tree look amazing!! Enjoyed your Christmas house tour so much! I LOVE Hobby Lobby! Most of my Christmas decorations are from there too! I'm slightly obsessed with Hobby Lobby :) They have such cute stuff! Merry Christmas, and thanks for stopping by! Thanks so much, and happy holidays to you too! Your decorations are beautiful! I totally agree about your home being a long-term project. We moved two years ago and I'm just now tackling a few of the projects that were on my list from back then! Thanks, Esther! Yes, it is for sure slow and steady and doesn't have to all be done at once! Thanks so much, Hil! Thanks for hosting! Maybe you'll get a Hobby Lobby soon! Your home is lovely!! I really enjoyed your pictures and the testimony to thoughtfulness during this season. Thanks for sharing with us at #TestimonyTuesday! So super cozy :-) Merry Christmas, Kelsie! Thank you, Lori! Merry Christmas! Love all your decorations! So many little details and so much love put into it! What a lovely and cozy home! Thanks for having me! Merry Christmas! Your house looks SO CUTE! I absolutely love your basement couch. 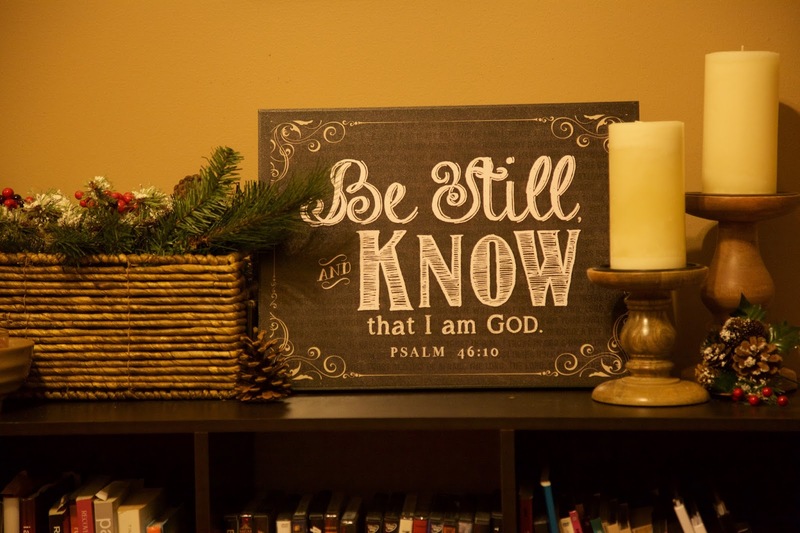 And that Be Still and Know sign...where'd you get it?!?! That's one of my favorite verses, so I'd lovelovelove to snag one. And your trees look so so good, too! Thanks so much, Erica! My mom got it for me for Christmas, but I did a search and here's the link!! http://www.amazon.com/Still-And-Know-That-Psalm/dp/B00I0YOHGQ Thanks so much for your kind words. I love that verse so much too! Thanks so much, Laci! I agree! Well thanks so much, Autumn! So lovely and cozy! Our tradition is to decorate the day after Thanksgiving - I'm so looking forward to it and you have definitely inspired me with some ideas! It's so cozy and festive! I love all the red & green everywhere; you can't help but be happy. 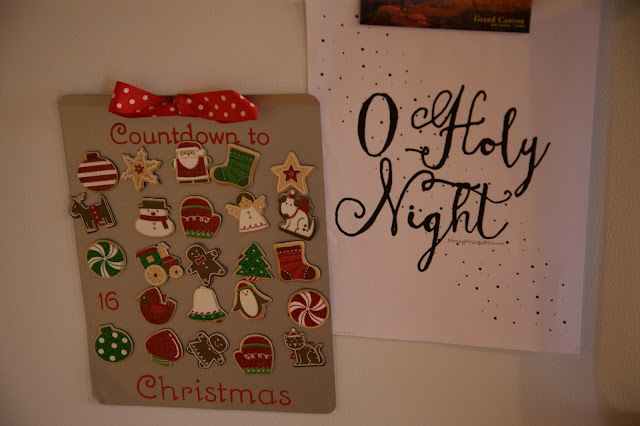 My mom has that same magnetic countdown and I've been dying for one of my own! Love that!